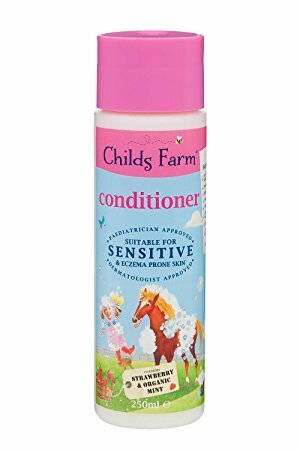 Childs Farm multi award-winning hair conditioner in fragrant strawberry and organic mint is so mild it is suitable for even the most sensitive skin on scalps. Use after shampooing for easy comb, tangle and static-free hair. Excellent for children with sensitive or eczema prone skin, this conditioner is suitable for use on all hair and skin types for comb-tastic results every time.